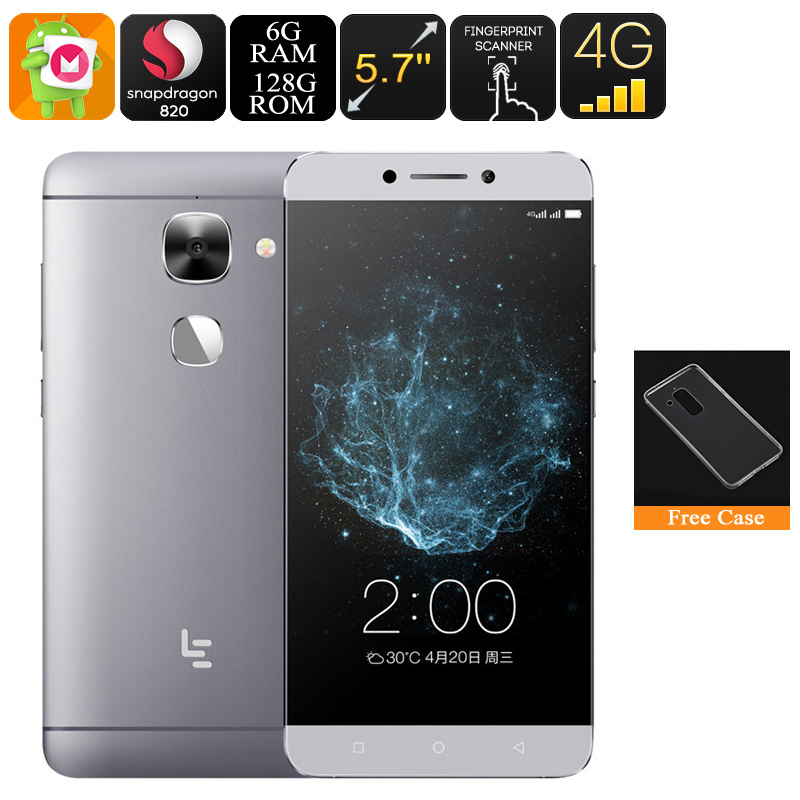 Successfully Added HK Warehouse Android Phone LeEco LeTV Le Max 2 - Snapdragon 820 CPU, 6GB RAM, 2K Display, Dual-IMEI, 4G, Android 6, 21MP Camera to your Shopping Cart. The LeEco LeTV Le Max 2 is an absolutely stunning Android phone that has been equipped with a breathtaking 5.7 Inch 2K display. Displaying media and games in mesmerizing detail and color, this Android smartphone truly brings your mobile media and entertainment experience to the next level. No matter where you’re at, from now on you’ll always be able to enjoy a cinematic experience straight from the palm of your hand. Watch movies, play games, or simply browse the web – this mobile phone will treat you with unbelievable visuals that are sure to leave an everlasting impression. Its 3100mAh battery furthermore lets you enjoy numerous hours of continuous usage time – guaranteeing that you’ll never have to experience a single moment of boredom again. Besides its top notch media experience, this Android mobile phone also brings along first-class connectivity. With its Dual-SIM card slots and two IMEI numbers you’ll always be within reach for friends and family. Additionally, the phone supports Dual-Band WiFi and 4G – providing you with the fastest data speeds no matter where you’ll be at. Whether you’re at home, in the office, or enjoying some time outside – with this Android phone in your pocket you’ll always be able to stay connected and browse the web at lightning speeds. Within the sleek body of this Android phone, you’ll be able to find some powerful hardware that is sure to deliver an outstanding performance. Its Qualcomm Snapdragon 820 CPU has been clocked at 2.15GHz and will treat you with a powerful yet energy efficient experience. This Android phone furthermore packs an unbelievable 6GB of RAM through which it allows you to engage in excessive multitasking sessions and enjoy the most demanding of software features without slowing down your mobile phone. No matter what you throw at this beautiful Android smartphone – there is nothing it can not handle. With 128GB of internal memory, you’ll have plenty of space to store your media and take the absolute most out of this amazing smartphone. At the rear of this Android phone, you’ll be able to find a professional-grade 21MP camera. This camera is great for snapping pictures of all those special moments in life. Additionally, it lets you record footage in Ultra-HD 4K resolution – allowing you to share all your favorite memories with friends and family in absolutely stunning beauty. The mobile phone furthermore features a top-notch fingerprint scanner that lets you unlock your phone in a split second. No longer will you have to remember annoying unlocking patterns or type in long passwords as from now on you’ll be able to access all your files with the touch of a finger. Excelente Celular, a entrega foi rápida e chegou tudo certo.